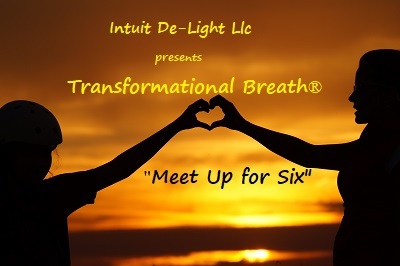 MEET UP FOR SIX Transformational Breath® Groups are limited to 6 participants per session. We meet on the 2nd Wednesday and the 4th Thursday of each month. Registration is a must! This environment offers the participant the vitality of a large group process with an intimate ambiance. There is significant hands on attention by the facilitators. When we consciously share space, there is a collective, creative heart coherence with the Presence that moves in, through and around us. It is as diversely unique, illuminating and profoundly moving as the time, space and energy present at the time of the session. The session runs approximately 2 hours. There is time for questions, reflections, insights, curiosities, sharing and journaling if desired. Should you desire to create your own private group, we will travel to you to facilitate. The exchange is based on location. Click on this link to contact us. Please refrain from wearing perfume as some people are sensitive to scents. Eat lightly, allow time for digestion prior to your arrival and dress in loose comfortable clothing. 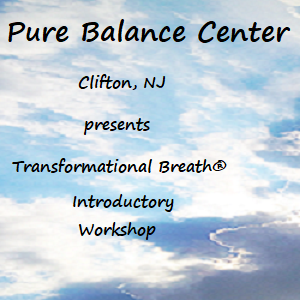 Transformational Breath® accesses a high vibrational energy created by a specific breathing pattern that permanently raises and alters the energy in our electro-magnetic field. 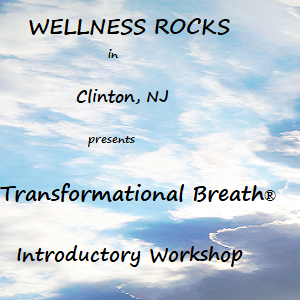 Transformational Breath® attunes us to our natural abilities to access higher vibrational energy by utilizing a conscious, connected, diaphragmatic breathing pattern. 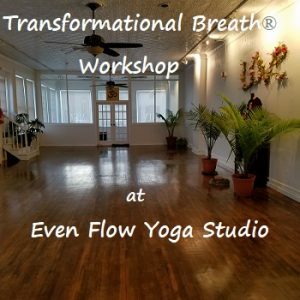 Although Yogic Pranayama and other forms of breath works are essential to our well-being, Transformational Breath® integrates other healing modalities such as toning, hands-on, and somatic integration in its practice. All of these elements coupled with intention and invocation support the moving of energy. This movement of energy softens and allows us to embrace our essence; therefore, we meet our joy and live more effortlessly in the flow of life. People have reported mystical experiences and expanded levels of awareness. OPENS AND CLEARS RESTRICTED BREATHING PATTERNS PRODUCING… More energy, increased detoxification, better health, resolves addictions, improved respiratory capacity, a strengthened immune system and more balance. 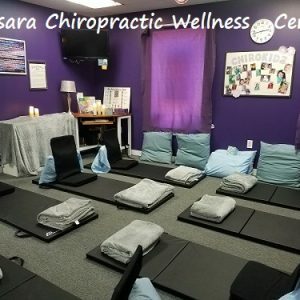 Physically Everyone has the ability to enjoy a deeply connected diaphragmatic breath which can open restricted breathing patterns, infuse more vitality, balance and promote general well-being. 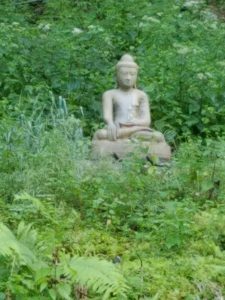 Transformational Breath® is the only known breathing school that specifically focuses on a return to our natural effortless breathing state. CLEARS THE SUBCONSCIOUS MIND WHICH ALLOWS US TO… Resolve stress, create the relaxation response, and permanently resolve repressed emotions, such as anger, fear, anxiety, guilt, depression, self-sabotage, & authority figure issues. Also, it shifts the old mental tapes and programs of limitation and lack to an abundant perspective that was lying dormant inside of you. This creates more peace, creativity and clarity. It releases past traumas located in the cellular memory. 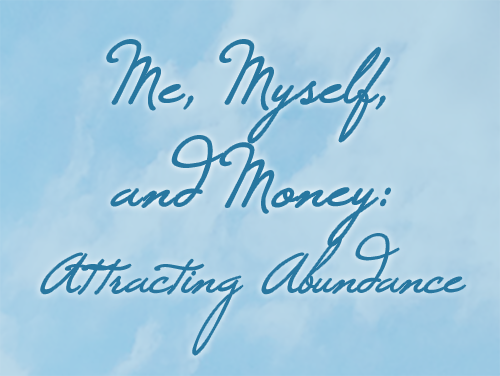 ALLOWS EASIER ACCESSIBILITY TO HIGHER DIMENSIONS AND LEVELS OF CONSCIOUSNESS, WHICH GIVES US… Stronger connection to Universal Intelligence, Higher Self, Source Energy or whatever you believe. Fuller expression of Spiritual gifts, Expanded awareness of your connection to all, deeper meditations which open you to the mystical realms of unity consciousness. This entry was posted on March 31, 2019 by darrynsilver.